Because you can't see it, you may not even be aware that the inside of your central heating system can be prone to corrosion. However, ensuring you have a good understanding of and take sufficient steps to prevent this issue will help to guard against serious damage to equipment in your system as well as protecting your property from potentially expensive and bothersome leaks. What is corrosion in central heating systems? 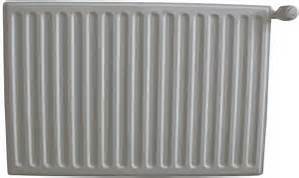 When it comes to your central heating system, you may think that it's simply a case of installing and commissioning, however, as the water in your system reacts with the steel in your radiators, corrosion occurs - something which can cause serious damage if steps are not taken to prevent it. In a newly installed central heating system, your plumber can reduce the rate of corrosion by flushing out the system, removing any debris or substances which are likely to increase the risk or rate of corrosion. What are the symptoms of corrosion? If a system has been well designed and installed by a professional plumber and flushed out correctly as part of the commissioning process, the water in the system will stay clean provided a corrosion inhibitor was added after the flush and that no maintenance or leaks have been carried out on the system. If the system has been drained for any maintenance and repair and a corrosion inhibitor was not added when refilling the system, it can again be liable to corrosion. Chemical treatment - This works by interfering with the process that forms the magnetite in the first place through stabilising the water. It should be noted that chemical treatments are not a complete cure and only slow down the magnetite formation. Chemicals do break down over time, so it's important to add them to central heating circuits on a regular basis. Magnetic filter - Magnetic filters work by using the magnetic properties of the iron oxide to "capture" the crystals as they form. The filter is placed in the central heating system and water is allowed to flow through the filter constantly, meaning that any crystals in the water are collected slowly by the filter. Getting your central heating system regularly checked to ensure the correct level of corrosion inhibitor is used will help to prolong the life of your system and its components. An APHC registered plumbing and heating engineer will be able to check the level of system corrosion inhibitor active in your home's system and recommend topping out or undertaking further work to reduce corrosion if required. Search for a quality installer in your local area at http://www.aphc.co.uk/find_an_installer.asp.